Naming Genes: What's in a Name? 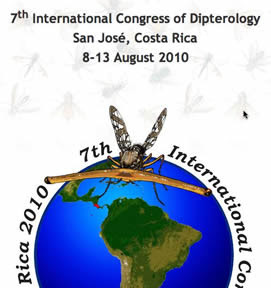 The first announcement for the 7th International Congress of Dipterology (or IDC7 for short) was just released and the venue and program promise to be spectacular! The Congress Chairman, FLYTREE's own David Yeates, welcomes conferees to the first Diptera Congress in Latin America, from 8-13 August in San Jose, Costa Rica. Manuel Zumbado chairs the organizing committee for this event that will draw those interested in flies from across the globe.